His face is freckled and he is tall and thin. Borderline malnourished looking with full cheeks makes him look years younger then he truly is. Plain brown framed glasses sit on his nose, clearly new and something he is adjusting to. His hair is a soft auburn shade of brown, hints of thinning apparently already at his young age. Most likely due to his stressful childhood. His hair and health both appear to be recovering as of late, a rosy hue to his cheeks and a less frail appearance getting replaced with a more robust figure. Years of his father instilling the importance of looks lead to a habit of wearing suits. A hoodie and plain "dress" jeans serve for standard wear, a more conservative lab coat/dress pants combo for work/school. His choice of clothing suits his thin 5 foot, 5 inch tall frame. Dawnson is an extremely shy person. A strange childhood full of countless adventures and little stability. With the hectic lifestyle, Dawnson lacked a chance to attend school and depended on outdated education sources. Unlike his brother, Dawnson initially showed more interest in becoming a famed Pokemon doctor. He had to seek his own knowledge and read everything he could find on the subject. Much to the derision of his father, who viewed Pokemon as tools and nothing more. His childhood was a series of neglect and mental abuse. His father left him in the care of a "butler" named Samuel Fern who was sadly more of father to him then his actual father. His father was more focused on researching ways to "better utilize" Pokemon abilities then raising his own children. He was not a healthy child growing up, getting sick often and having a history of UTIs among other health complaints. Mental breakdowns from his father's reckless adventures are a normal occurrence. Being his father's favorite did nothing to shield him from the horrors experienced. Dawnson shows a genuine love for Pokemon and solving mysteries, heavy hints of Pokemon nursing potential. His father mocked his "softness", Dawnson frequently trying to save "failed" experiments of his fathers. Few of his attempts succeeded, with the help of his "father's" butler. His first solid stand against his father was to secretly enroll in Pokemon trainer classes. Online classes that he could quickly hide proof of from his father, who wanted him to focus only on the scientific side of Pokemon, none of this silly battling or training. Dawnson managed to graduate from the online courses, with acceptably high honors. His certificate was smuggled in to him by Samuel. The only person who knew and approved of his hidden doings. The certificate was under a false name, Dawnson afraid his father might find out if he used his real name. He made sure to keep the certificate in his wallet, never letting it out of his sight. He was spending a day in his father's lab, begrudgingly helping with an experiment. Something went wrong, as usually happens in such experiments. A Pokemon being tested on tried to teleport away, and instead of sending itself far away, it instead teleported Dawnson. He awoke in a field, next to an unfamiliar city. He was found by a Pokemon called a Mimikyu and later recruited a Tropius and a Salandit. After some deliberation, he felt that becoming a breeder/researcher would best suit him and so he began an internship into such an endeavor forgoing his past to forge his own path. He only had the certificate and what muns he had in his wallet and made do with what little he had to start his new life free of his father's toxic influence. He managed to gain an internship at a breeding/rehabilitation research center. Working as a tester of their new techniques and new devices to potentially aid with Pokemon. He met a girl who wore a belt as a tail and had cheap cosplay ears of a Skitty nature. Unable to help himself, he called her over and adapted a tail and ear combination. After much begging and cajoling of course. He asked her, rather pathetically, to give him any Pokemon she didn't want rather then abandon them. A little perplexed by his plea, she agreed. He later heard she was a Faller and felt into a mild depression feeling he had no chance with such a worldly woman That no way she would come back not after how odd he was. But she did and they became fast friends. Visiting when they could get their differing schedules to align. A rumor was going around that the "newest" research intern was a Faller. And wanting to preserve his secrets as good as he could, he never denied them. Even with the fact that anybody who actually knew a Faller could call him out on his lies. Thankfully, those numbers appear to be low and his secrets are kept. For now. Mimic The user copies the target's last move. 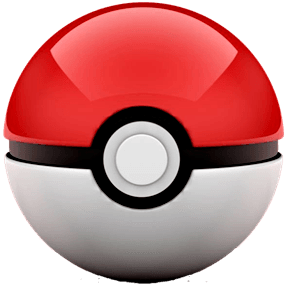 The move can be used during battle until the Pokémon is switched out. Feint Attack The user approaches the target disarmingly, then throws a sucker punch. This attack never misses. Shadow Claw The user slashes with a sharp claw made from shadows. Critical hits land more easily. Play Rough The user plays rough with the target and attacks it. This may also lower the target's Attack stat. Leaf Tornado The user attacks its target by encircling it in sharp leaves. This attack may also lower the target's accuracy. Air Slash The user attacks with a blade of air that slices even the sky. This may also make the target flinch. Body Slam The user drops onto the target with its full body weight. This may also leave the target with paralysis. Synthesis The user restores its own HP. The amount of HP regained varies with the weather. Toxic A move that leaves the target badly poisoned. Its poison damage worsens every turn. Venoshock The user drenches the target in a special poisonous liquid. This move's power is doubled if the target is poisoned. Flamethrower The target is scorched with an intense blast of fire. This may also leave the target with a burn. Dragon Pulse The target is attacked with a shock wave generated by the user's gaping mouth.